Can 6-sigma really help execute an effective sourcing process? One major service provider that has quietly - and very effectively - grown its US presence over the last couple of years is HCL. And behind the scenes is a very classy guy, Debashish Sinha, who pulls the strings across its US sales, marketing and operations units. About four hundred years ago, Galileo Galilei noted that “We must measure what can be measured, and make measurable what cannot be measured,” a philosophy now embodied in the well-tested axiom “You can’t manage what you can’t measure”. So how about managing the Sourcing cycle? How do you actually measure Risk, or Internal Readiness, or even effective Governance? One potential option could be to use Planning for Six Sigma tools to “make measurable what can’t be measured”. After all, it’s still one of the most prominent approaches for managing by measurement. Outsourcers frequently use 6-sigma Quality Management tools to manage execution of BPO or ITO contracts. Can’t it be translated by buyers to the pre-engagement process as well? The six-sigma approach does have some special advantages – not only is it strongly focused on process management & improvement, it forces thinking around process control. Since outsourcing initiatives are long-term programs, an effective feedback mechanism, and a process for managing evolution of the program, can be critical to its success. Most other sourcing methodologies fail to consider this need upfront. For the glassy-eyed – 6-sigma is the statistical definition of deviation from a mean. It signifies less than 3.4 defects out of a million opportunities. Implying, quite literally, that if there were a million things that could go wrong in a sourcing process, the rigor of Six Sigma will ensure that no more than 3.4 of them do. e. Develop a feedback loop to continuously measure output in case variations begin to show, or process changes are required. That it. Simple, isn’t it? Yes, there are all kinds of other things like VoCs, CTQs, Pareto Charts, etc. that we can go into later if anyone’s interested. But the above really covers all the fundamental principle. In the real world, while the statistical relevance of six-sigma is limited, the concepts and approach can actually be quite effective, if properly adapted. Let’s take the example of managing Internal Readiness (IR); clearly, a critical element in managing an effective sourcing relationship, and among the more common causes for an enterprises’ inability to get their sourcing initiatives off the ground. Internal Readiness is the degree to which an enterprise has the necessary organization and technology capabilities in place to enable a successful outsourcing program. The first step in developing the framework is to understand the variables. Internal Readiness can be separated into two categories, each defined by a number of key attributes.
? HR issues (redeployment, severance, re-skilling), etc.
? Quality control processes, etc. (This is by no means extensive list). The next step is to create a measurement technique to analyze IR. A simple, yet effective way used to measure and analyze Internal Readiness could be through an ‘Internal Readiness Index (IR Index)’ that scores each attribute on its maturity or completeness on a scorecard. Does the initiative have an executive sponsor? Is the sponsor directly impacted by the initiative? Are objectives for the initiative tied to compensation? With each attribute scored, the sourcing team can pretty clearly tell if the organization is ready for to engage in a significant outsourcing initiative, or if not, what gaps need to be plugged before going too far into the initiative. Enterprises with a low readiness on either axes should seriously reconsider their outsourcing initiative. In other cases, identifying the gaps and developing mitigation plans to execute over the subsequent phases of the sourcing cycle will go a long way in ensuring a smooth transition into the outsourced environment. Interested in diving deeper into this morass? Leave a comment, or email me. I’d love to hear from you. 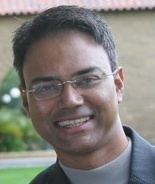 Debashish "Cruise" Sinha (pictured) is Vice President and Head of Marketing at HCL America, Inc. He has 18 years’ experience in IT Services Sourcing, working as a practitioner and advisor to large enterprises, service providers, and government entities across the globe. Before joining HCL, Debashish was Founder and Partner at Conscient Partners LLC, Managing Director for Global Advisory at neoIT, and Principal Analyst for IT Services & Sourcing at Gartner Research. Before you commit to 6 Sigma, remember that it works best in a high volume low variation environment. If your work is high variation, low volume 6 Sigma will be very misleading. Allen has a very relevant point. For those of us that view six sigma as a "religion" as opposed to guiding principles, beware. The author was accurate in stressing the fact that the spirit and methodology of 6 sigma are often applied successfully. I still would not shy away from using LEAN, DFSS, and DMAIC "tools" in a low volume, high variation environment. I have yet to find a process that cannot be improved by at least using the 6 sigma road map even when a full blown black belt project is overkill. Holding a sourcing forum in Orlando is a big mistake. Many grown-ups have set as a life goal to avoid Orlando like the plague forevermore. However, I'm excited about HCL - so maybe the next event will be in NYC! Thanks for the great comments. Just to clarify for Allen and Anupam - my point was to think about using Design for Six Sigma (DFSS) as a tool to build a sourcing methodology (not a full-blown 6s black belt program). I've done it effectively in the past. Written out the whole methodology actually! It provides strong logic for decisions, creates predictable outcomes, and forces feedback loops to control for downstream variation. Cynthia, no Customer Meet in a Disney property. Got it. Thanks. The article and subsequent comments reflect my own views. Whether you implement a 'full' 6 Sigma program or not, you need -some- level of measurement, key performance indicators, in order to be able to make effective decisions. So many organizations measure...nothing. My preference is to avoid 'over' measuring. Think through your processes, start with selective areas to focus on, and evolve from there. As for Orlando, who cares? Over the years, I look for a place easy for 'everyone' to travel to, with good infrastructure, hoteling, and convenience (e.g. <1/2 mile hike from hotel to conf. room in same bldg), alongside capacity. I agree that 6s tools and principles can be adopted to improve the sourcing lifecycle, for buyers and suppliers alike. Last year, I helped a Korean client struggling to measure the success/ failure of its offshore center in China, better measure and manage the offshore processes using a PMCS toolkit. I enjoy reading the article and the ensuing commentary. I've used Lean and Six sigma over the last 10 years to manage outsourcing relationships with multiple firms on several continents. Whether you are using the tools to design a marketing and sales campaign (DMADV/ANOVA/DOE), establish a baseline and transition work (MSA) or govern the operation (DMAIC), you need to realize the limitations in the tools, the quality of the data available and choose the appropriate approach to get value out of Lean Six Sigma. Project selection with business champion involvement will help you focus on the right things to pursue (defect/KPI). A trained blackbelt with sufficient background in the analytics behind the tools and data collection methodology or a Lean Sensei with the skills to work the value stream will help you drive the appropriate methodology. But most importantly, you need a culture that expects continuous improvement and leadership that is held accountable for performance.